Thirsty Camel’s on the wagon? 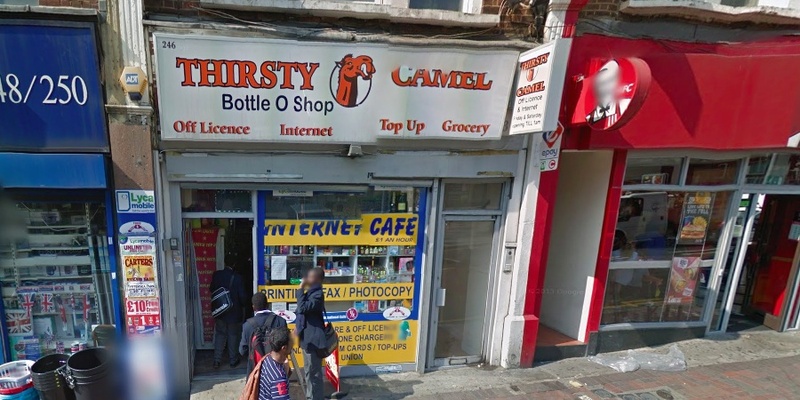 Best One on Lavender Hill, which trades as Thirsty Camel, has seen its shopkeeper lose his licence to sell alcohol. The review took place after the store was found to be selling counterfeit tobacco and had previously had a licence review after selling alcohol to underage customers which resulted in a temporary licence suspension. A Battersea shopkeeper has had his licence to sell alcohol revoked after thousands of pounds worth of counterfeit and smuggled cigarettes were found hidden in his storeroom. Trading standards officers found nearly 700 packets of contraband tobacco when they searched the Best One store in Lavender Hill. Nearly a third of the packets were fake while the others could not be legally sold in the UK and were smuggled into the country. The case raises a huge number of points. One of which is that, however noble efforts to reduce smoking are, there are serious risks in plain packaging: which would make counterfeiting easier. It also highlights the importance of regulation in some areas. I know some businesses feel the council’s various enforcement arms can be heavy handed—especially when most abide by all the necessary laws and regulations—but in cases like this there has to be protection for both the consumer but also competing businesses who, by virtue of abiding by the law, are disadvantaged by those who are not so upstanding when it comes to their business practice.